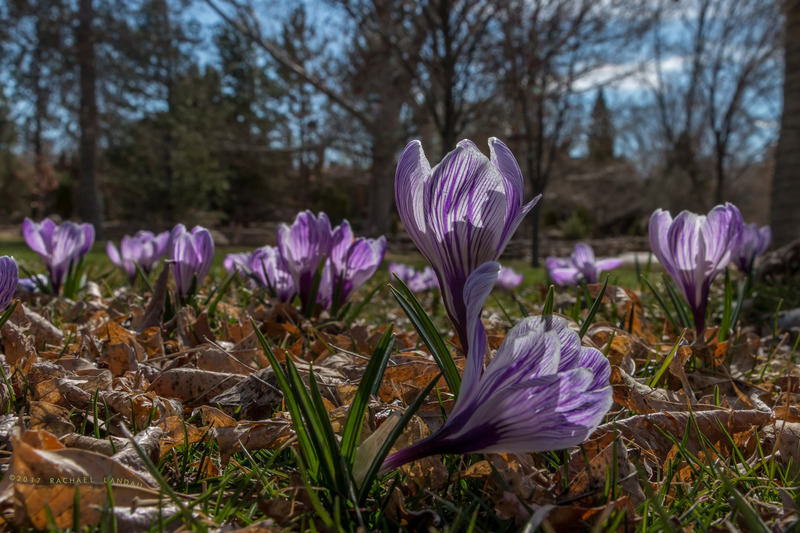 Couldn’t get the camera any lower to make this crocus shot. Purple and white variegated and polychromatic crocuses. I was enchanted by these little flowers with the overhead sun streaming through their petals. Signs of Spring in color is eye catching. Love mother nature. Yes, love mother nature. Thank you for the comment (R).